You’ve heard it phrased a million different ways: essentially, green is the new black. 2013 brought us many new options for livin’ the green lifestyle. Whether you switched to a hybrid vehicle or didn’t get a chance to “go green” last year, there are lots of ways to easily transition to a more eco-friendly way of life. 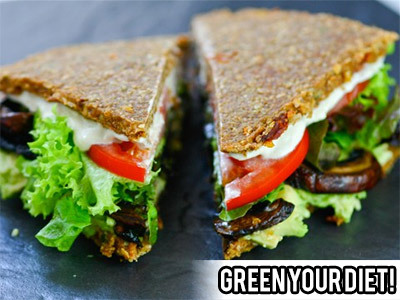 Surprisingly, what we eat has more impact on the environment than the kind of vehicle we drive! But how can we know what the most eco-friendly diet is? There is so much conflicting information out there! Well, let’s take a look at the facts and see which foods are kindest on Mother Nature while also providing us with absolutely radiant health. Surprise, Surprise: organic fruits and veggies always come out on top! Want a planet and a body that are fit for a king? Focus on eating more fruits and vegetables, and slowly reduce your consumption of animal products and grains. Pharmaceuticals are wack, on so many levels. One of the quickest ways to take back control of your health and stop financially supporting chemicals as “medicine” is to go natural. Homeopathic Treatments are a powerful, natural way to heal just about any illness. Plus, they are far more affordable than prescription medicine and don’t have any dangerous side effects. You already know what happens when you leave a water bottle in a hot car, right? If water bottles are proven to be that toxic, then why would you gamble your health by using them at all? You deserve a better bottle, bro! The Mable’s Team upgraded our water bottles in 2010 and we’ve been pleasantly astounded by the results. Our VibesUP water bottles have a funny little coaster glued to the bottom of the bottle, which uses simple quantum technology to make the water easier to drink. But here’s the really weird part… we’re not sure how, but this weird “vibration raising” technology makes it so that our water bottles never smell. You know how often you have to clean reusable water bottles, right? Not with VibesUP! There’s a new company, Fashioning Change, that we’re really interested in, because they help us find eco friendly clothes based on our unique style preferences. Just choose your favorite style icons and designers, and Fashioning Change will match you up with gorgeous choices. Plus, if you share the love and invite a friend to shop at fashioning Change, both you and your homie get $10 off. 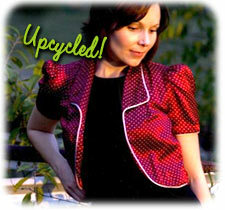 Reduce, Reuse, Recycle and Upcycle? This is a broader concept that challenges how we think about every area of our lives. You’re probably familiar with the first 3 concepts, but “upcycling” is quickly gaining momentum in the handmade community. 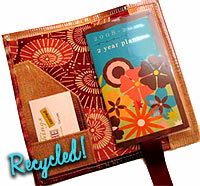 Etsy has a great article that discusses how everyone can learn to “repurpose” trash-bound items into something useful. Not only can you upcycle your own goods, but you can also purchase products that are made of upcycled or recycled material. Feeling DIY? Upcycle That will keep you inspired all year long. 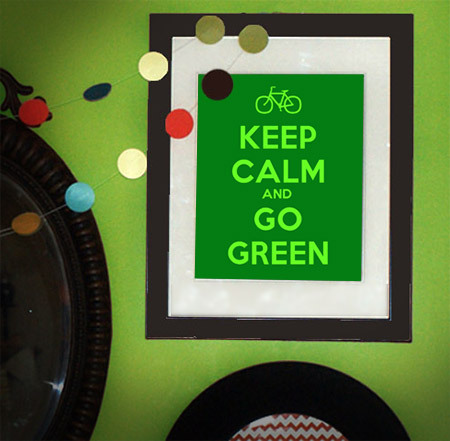 Have you decided to go green this year? We’d love to hear your experiences and tips; please leave us a comment! Great tips! I think food is the most important change we can make because humans eat so much food! If we change diet we can change the world.